We do not schedule appointments for cake tastings, however, our bakery is open daily and every flavor option for our wedding cakes and cupcakes is available, seasonally, for purchase in our shop. 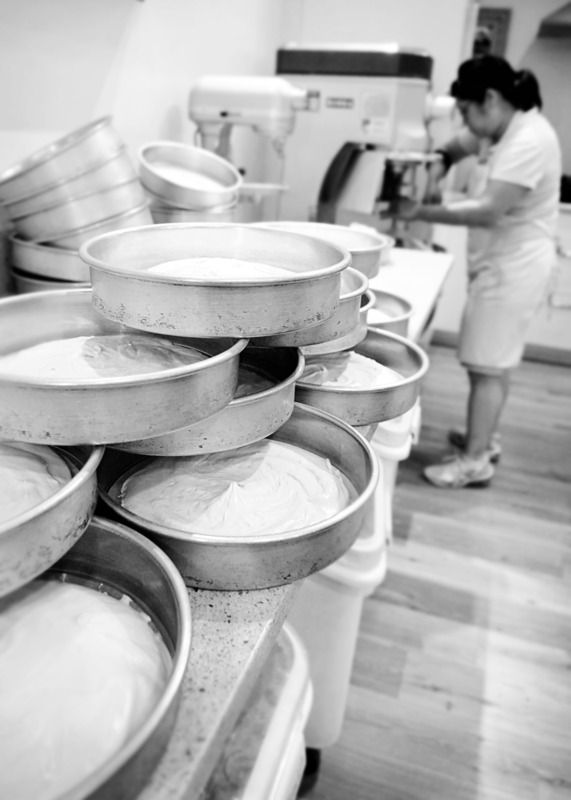 We invite you to visit our bakery anytime that works for your schedule to sample a variety of our cake flavors as you begin your personal quest to find just the right menu of desserts for your guests. Feel free to bring a friend or family member or two to enjoy this part of the planning process with you! Our Event Coordinator, Shannon Barbee, will be happy to guide you through ordering your wedding cake with a custom price estimate for your budget and design sent via email. At this point we then need a deposit of half of the estimate in order to secure your date on our weddings calendar. Of this deposit, $200 is non-refundable should you need to change your date or cancel the order altogether. Our reasoning for this is that we only make a few wedding cakes each weekend, and we will have likely had to decline other bride’s requests for us to make their cake on your date. Once we have a signed contract and deposit in place, we will then schedule a Design Session in the bakery with Shannon to pull together all details of your order. From selection of design and floral touches on the cake to additional desserts and timing of delivery, this is where it all comes to life! Size, design, and flavor adjustments can always be made to your wedding cake plan up until two weeks before the wedding. The balance in full must be paid one week prior to the big day! Please contact Shannon Barbee, our Event Coordinator, directly for questions and information about our wedding orders.